“We are on an exciting journey to bring the convenience of voice technology across the portfolio to our audience of design-conscious customers, who expect the highest standards in terms of sound and craftmanship. Considering that Beosound 2 with the Google Assistant is the most powerful and best sounding voice-enabled speaker on the market today, this first step marks a solid commitment to our customers,” says Bang & Olufsen Director of the staged and flexible speaker categories Petros Belimpasakis. To make sure that the Google Assistant can hear commands through the wall of sound coming from the speakers, the speaker features acoustic echo-cancelling technology and five microphones in the aluminium structure that constantly analyse which sounds come from the speaker and which are commands from the consumer. While Beosound 1 is 'crafted for portability' and comes with a built-in rechargeable battery, Beosound 2 needs a permanent power connection. Bang & Olufsen has added four favourite buttons to the top of the speakers, which allows users to assign tasks to a single button. Commands used often, such as streaming a radio station, favourite music playlist, reading out the weather report or what is in the calendar for the day can be assigned to a single button. The buttons are content agnostic, so they work with any devices and music services that are Google Assistant compatible. With both Chromecast and Apple AirPlay 2 integrated into the speakers, any major music service can be streamed to Beosound 1 and Beosound 2 from your smartphones and distributed in a multiroom product setup. With Google Assistant built-in, the speakers have advanced smart speaker functionally, for controlling the speaker or other smart home devices. 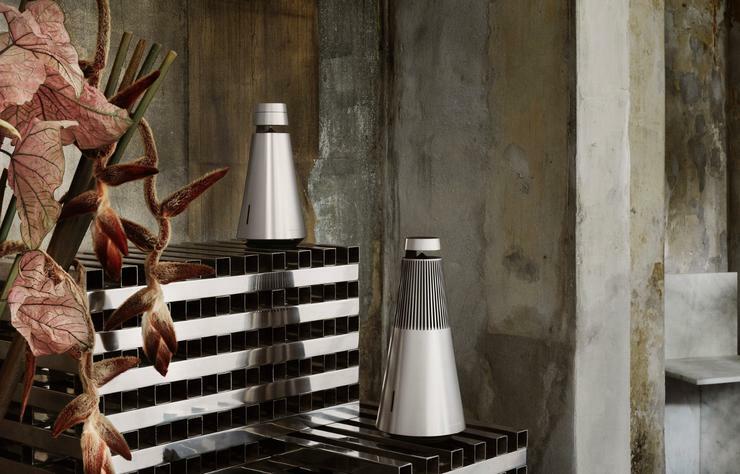 Beosound 1 and Beosound 2 with the Google Assistant built-in are available in Bang & Olufsen stores, starting mid-September 2018 and early October 2018, respectively, at $2300 for BeoSound 1 and $3000 for BeoSound 2. For more information, visit https://www.bang-olufsen.com/en.